Serious games are serious business. 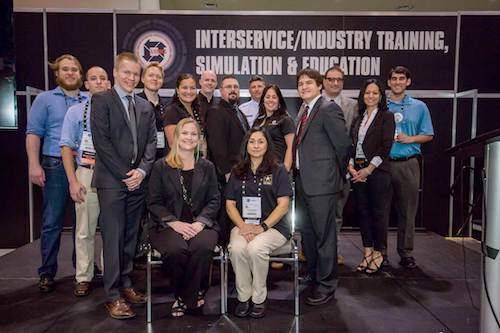 This year’s Serious Games Showcase & Challenge (SGS&C) announced and recognized the 2016 winners at the Interservice/Industry Training, Simulation and Education Conference (I/ITSEC), the world’s largest conference for modeling and simulation on Dec. 1. This year’s 20 finalists were showcased on the floor during the four-day I/ITSEC show, where close to 15,000 attendees had the opportunity to play a diverse cross-section of serious games developed by business, government and students in subject matters that ranged from medical professional training to rocket simulation to learning and managing debt. But the serious game that seemed to capture the attention of the I/ITSEC attendees was U.S. Army STARS: Elements, one that helps students learn and visualize the foundations of chemistry through interactive models, games, and challenges. U.S. Army STARS: Elements was voted on by attendees as their favorite game, earning them the prestigious People’s Choice Award. Developed by the U.S. Army Game Studio, Software Engineering Directorate, U.S. Army STARS: Elements was also awarded the best in mobile, and won the Students’ Choice category, with more than 1,000 evaluations received by students in Orange County Public Schools. This year’s Best Student game was Bots & (Main)Frames, designed to help players develop programming and computational thinking skills. The creator, Eddie Melcer, a student in the New York University Tandon School of Engineering, said that he participated in the Challenge because of the broad potential for outreach and exposure of the games in the competition. 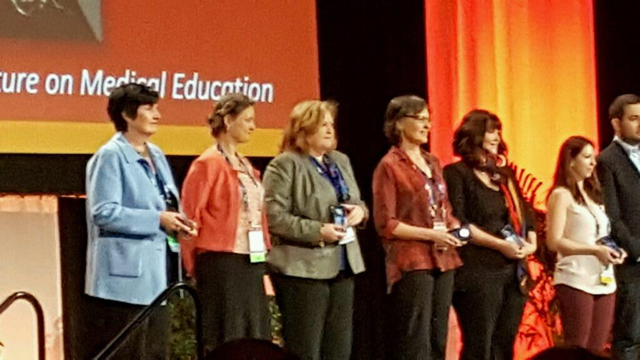 “Not only are finalist games judged by and shown to a talented community of training, simulation, and education professionals, they are also play-tested by students from local schools,” he said. “Having grown up in the Orlando area, I am very exited by the prospect of a game I created ending up in my former high school helping introduce students to programming. A new category added this year was the Innovation Award, which recognizes characteristics or techniques that enhance the serious game in a new or different way. These techniques can be hardware integration, instructional design, game design, content topic, or a combination thereof. The innovation committee felt that two games were deserving of this honor in its inaugural year: ADAPT-MP by Design Interactive, Inc., and Limbitless Training Games by University of Central Florida. Best Business — Post Attack Reconnaissance (PAR) Virtual Training Mode, by the Virtual Heroes division of Applied Research Associates, was developed to help Air Force members become familiar with what normal and post-attack looks like. Best Government – USC Standard Patient, by the Army Research Lab and developed by the USC Institute for Creative Technologies and BreakAway Games, allows players to practice their medical interviewing and diagnostic skills on virtual patients with helpful coaching. Interested participants submit games during the August to September timeframe each year and the finalists are invited to showcase their games at I/ITSEC, which also includes the finalists from international partners representing the Australasian Simulation Congress, Brazilian Independent Games Festival (BIG), and the newest partner who will participate in next year’s contest, Asia Pacific Simulation Alliance. Then SGS&C finalists are reviewed by an esteemed panel of worldwide evaluators to determine the winners for each category. 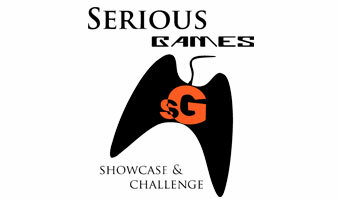 For more information about SGS&C or details regarding submissions, which open August 2017, visit www.sgschallenge.com.